Publishers beware: Is CodexCloud the Grooveshark for ebooks? 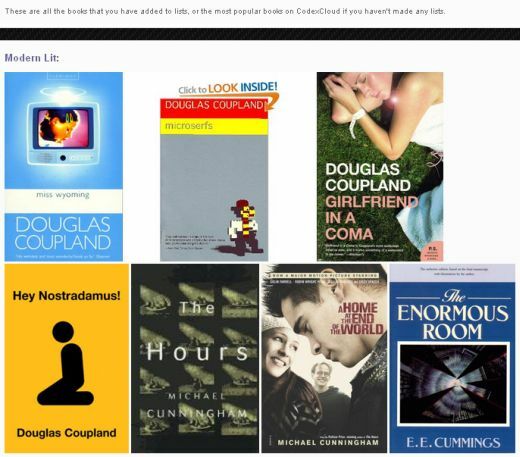 Described as “Google Music or Grooveshark for ebooks”, CodexCloud is a new online service which will appeal to any bookworm with a tablet. The service is bound to be met with the same controversy as Grooveshark because essentially, it allows you to read not only public domain books available through Project Gutenburg, but also allows to upload purchased books to the cloud to share with others. While Amazon already allows users to loan their Kindle ebooks to other users for a limited period of time, CodexCloud takes things one step further and simply allows users to share them online with anyone, at any time, and for as long as they want. All content on CodexCloud is provided either by user upload or from royalty-free sources such as Project Gutenburg. All users have agreed to the terms and conditions that prohibit the upload of material they do not have the legal right to distribute. As such, users are responsible for determining that they have the legal right to distribute all material that they upload to CodexCloud. When we are properly notified of content that infringes on the rights of others, we act expeditiously to remove such content from our service. So how does CodexCloud work? After signing up for a free account, you can access CodexCloud’s books from any device with a browser – whether on your computer, iOS device or Android device. Under Bookshelf you can browse the most popular titles, which currently include titles by Neil Gaiman, Kurt Vonnegut, Terry Pratchett and JK Rowling. Once you begin to make lists, saving your e-books to the service, your own books will appear on the bookshelf. You can create multiple lists, as well as access a set of pre-set lists from a sidebar including popular, recommended for you and most recent uploads. 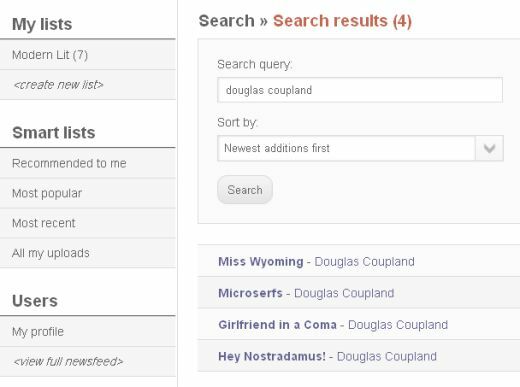 When creating your own lists from books already available on CodexCloud, simply perform a search for the title or author, and then drag and drop the title into the list. CodexCloud supports several e-book formats, but .epub books are recommended for best results. When uploading other formats such as lit, html, pdf, mobi, rtf and txt, CodexCloud will convert the books for you using Calibre. You can upload books via URL, upload them straight from your computer, or use the services mass uploader, which supports epub only. Now for the most important part, the actual experience of reading a book. We tested CodexCloud on Chrome, the iPad’s Safari browser, and the Google Nexus S native Android browser. On Chrome and the iPad, the experience was decent, if not a little buggy at times. Turning pages can be done on the iPad by swiping or double-clicking, but at times CodexCloud was a little slow to respond. On the Google Nexus S, the small screen turned the menu at the top into a garbled mess, and turning pages proved to be tricky. Our biggest complaint, however, when it comes to using CodexCloud as an e-reader is that there is no way to bookmark your place in the book. That said, when you come back to a book you have been reading, it will remember your last spot, but only on the device you were reading it on. Luckily, you are able to download books in .epub format from the site, and read them using your preferred e-reader app. Grooveshark has survived 4 years, so it’s possible that CodexCloud will follow in its footsteps, but not without the same amount of controversy. What do you think of CodexCloud? Let us know in the comments.